Goldbaby Synthetic is a Geist Expander lovingly crafted from an extensive collection of analogue and digital hardware. It features stunning drum, percussion and synth one-shots programmed from scratch on an array of classic synths - no drum machines were used during the creation of Goldbaby Synthetic! The included drum and percussion kits are imbued with trademark Goldbaby punch and flavour: heavy slabs of analogue fatness, tuned and experimental percussion, futuristic digital hits and much more. Goldbaby Synthetic's synth one-shots provide killer basses, stabs, chords and textures with many in Akebono and Pentatonic alternative scales. The raw material in Goldbaby Synthetic is coaxed from vintage and modern analogue synths, old FM instruments and vintage 12-bit sample-based keyboards. Sounds are squeezed through esoteric pedals and high-end multi-FX with everything recorded through premium AD conversion. 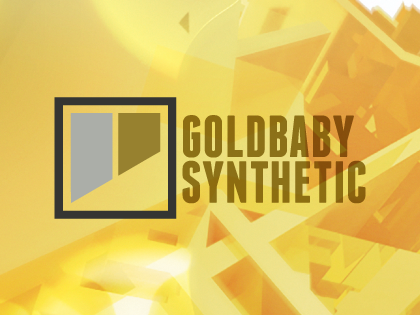 Goldbaby Synthetic features presets for Geist but the included samples can also be used in any software or hardware that supports 24-bit WAV and REX2 format samples.